Walsall College is a leading provider of hands-on, industry accredited training in both illuminated and unilluminated sign making and digital printing. We are leading the way in further education in the United Kingdom, directing our energies into developing a more industry responsive curriculum. Easy to reach: situated in the heart of England, with easy access from M6, Jct 10 and just five minutes from a mainline railway station. Walsall College’s onsite Roland Academy is the latest in a series of strategic partnerships the College is establishing with industry leaders to improve the synergy between training provision and the workplace. It brings together the cutting edge technology and world class training that gives our students a head start a competitive and rapidly changing industry. Our dedicated team of qualified industry professionals also deliver specialised onsite training in Signmaking NVQâs 2 and 3 to companies throughout the UK. Onsite training delivery is highly favoured by companies as employees are observed by an onsite assessor who manages the whole process and observes staff whilst they work. Onsite assessment means companies gain a more skilful, productive and motivated staff base with no loss to business output or profits. 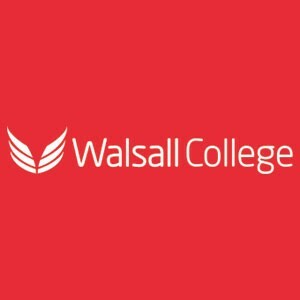 Walsall College prepares students to become effective and aspiring contributors to business and the community while maximising their own potential. We are dedicated to excellence in teaching and learning, placing the student at the centre of all we do. Through partnerships with market leading, multinational organisations across the curriculum and via specialist Academies, we offer best practice in a variety of professional and vocational areas. We create workforce development solutions for SMEs, public sector organisations and blue chip companies. Collectively, we are passionate about extending the real world experiences, commercial awareness and industry skills of our learners. When they leave us, our students are not only qualified, but job ready. Would you like to add to your bottom line? Do you or your staff use all the features on your equipment? Are you or your team interested in finding out about new techniques? Would you like to develop a career in signmaking and commercial graphics production?